Barbados has long been called Land of the Flying Fish, not just because the waters around the island teem with flying fish, but because it’s also the national dish. It could just as easily be called land of the pink beaches when its languorous, powdery soft sands are aglow in the setting sun. 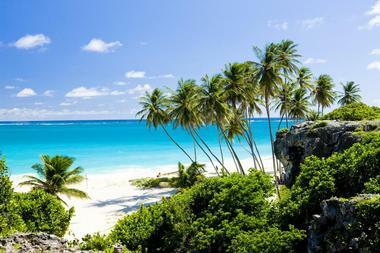 Sparkling turquoise waters, lush flowering gardens, dazzling nightlife, and a deep-rooted island heritage also define this little piece of paradise – the easternmost island in the Lesser Antilles. 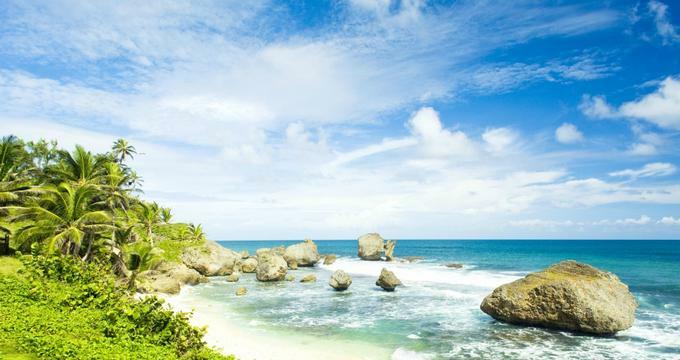 From its UNESCO World Heritage capital to its hauntingly beautiful eastern coastline to its rich cultural ambiance, Barbados is a beautiful vacation destination. Harrison’s Cave, a magnificent natural wonder, is situated in the central uplands of Barbados in the heart of the country. This crystallized limestone cave is distinguished by its deep pools of transparent water, flowing streams, and towering columns. 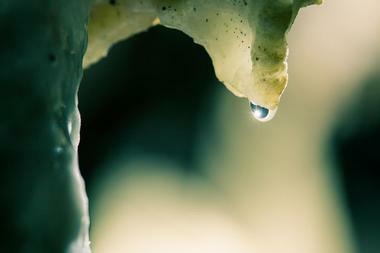 Visitors will be mesmerized by the white flow stones and the speleothems that decorate the cave. Guests can experience this incomparable underground oasis on one of several tours offered, including a 1-hour tram, walk-in, or scenic gully tour. They also offer a 3.5-hour Eco-Adventure Tour, which is the most intimate of the choices, where guests can trek through the cave utilizing head lamps, helmets, and knee pads. A significant part of Barbados cultural history, Andromeda Gardens is the legacy of renowned Barbados horticulturalist Iris Bannochi, who established the garden in Foster Hall. The garden is named after the mythological Greek princess Andromeda, because its beauty is seemingly “chained” to the coral stone of the eastern coast. During her lifetime, Bannochi won numerous awards for the bounty displayed in her garden. 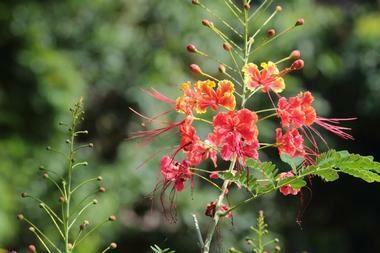 Visitors will discover a unique collection of tropical and sub-tropical plants across 6 acres of gardens. Entrance fees provide unlimited visits for the three weeks following ticket purchase to allow guests time to freely explore and study the gardens. 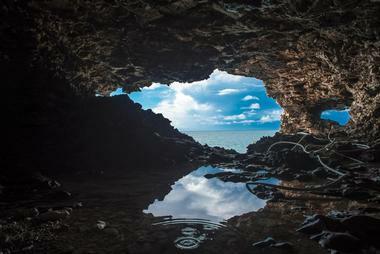 Animal Flower Cave, named for its abundant sea anemones in the cave’s pools, is located on the northernmost tip of the island in Saint Lucy parish. Visitors can take a guided tour of the cave and explore the cave pools, and even wade into the larger ones. The cave walls are a colorful collection of oxidized minerals, some taking the shape of living organisms like a human hand, lizard, and turtle. Openings in the cave offer picturesque views of the Caribbean; one particularly large opening resembles the map of Barbados on its side. Above ground, visitors can stand, or sit on a ring of benches, and admire the panoramic views. In the heart of historic Speightstown in St. Peter parish, the Arlington House Museum offers guests a glimpse into the island’s past. The restored 18th-century former home of a wealthy merchant is now a three-story museum with engaging interactive and educational exhibits. The Speightstown Memories exhibition tells the story of the island’s first settlers, the Plantation Memories exhibition explores colonization and the plantation system, and Wharf Memories delves into the town’s maritime significance as a Caribbean port for sugar and sugar byproducts – rum and molasses. Kids will enjoy the talking pirate and other interactive features, and the whole family will learn something new about the island’s heritage. 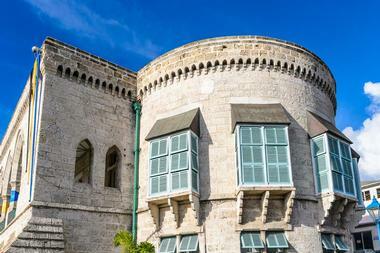 The Barbados Museum & Historical Society is situated in the former British military prison at St. Ann’s Garrison. The museum has eight galleries. The African Gallery explores African heritage and its creation of Caribbean society, and the Jubilee Gallery features 4,000 years of island history from Amerindian culture to pre-independent Barbados; both are must-see exhibitions. Other galleries include the Military, Aall, Harewood, Cunard, Warmington, and Children’s Galleries, all worthy of exploration. The museum also hosts poster exhibitions that include the History of Cricket, Jazz in Barbados, Ending the Trade, 375 Years in Holetown, and Symbols of Independence. The museum offers wedding and event space. The historic West Wing of the Parliament Buildings in Bridgetown’s city center is home to the Barbados National Heroes Gallery. This must-see attraction shows visitors the values of Barbadians through the characteristics of their heroes. The gallery features ten National Heroes of Barbados, tells their stories, and traces their contributions to change. Heroes include a prime minister, lawyer, slave revolt leader, plantation reformer, journalist, doctor, unionist, cricket sportsman, and others. Information is delivered through murals, sculptures, and interactive screens. The Barbados Museum of Parliament is also housed in the West Wing. The capital city of Bridgetown and its garrison is now a UNESCO World Heritage Site. The Barbados Wildlife Reserve is an excellent family-friendly, day-time activity where visitors can watch native animals play, eat, and interact with other animals in their relaxed natural environment. It is just across the street from the Farley Hill National Park, nestled within natural mahogany woods in St. Peter’s northern parish. 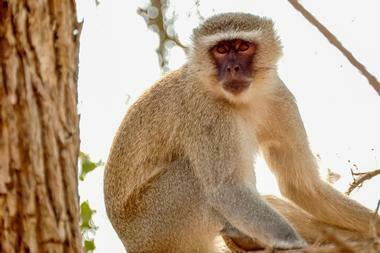 Guests will have the chance to view the Barbados green monkeys, which are free to roam, and walk through the aviary featuring flamingos, vibrant parrots, peacocks, and brown pelicans. Reptile enthusiasts will enjoy the iguanas, tortoises, turtles, and vast collection of caged snakes. There are also non-native animals in the reserve, including agouti, Brocket deer, armadillos, and caiman. 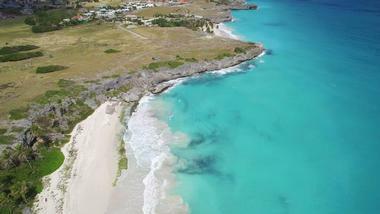 Bottom Bay is a wide and expansive beach situated on the south coast just past Sam Lord’s Castle and Crane Beach. 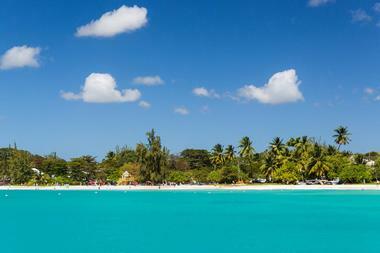 It is a semi-enclosed beach due to towering palm trees and coral cliffs that boast panoramic views of the south shore. Gentle rolling waves soothingly crash onto the shore, adding to the peaceful tranquility of the bay, however the rip currents are extremely strong, so swimming is not recommended, although it is permitted for those willing to swim at their own risk. Bottom Bay draws those who enjoy a serene picnic in a beautiful setting where whale and turtle sightings are a common occurrence. The Emancipation Statue is an iconic Barbadian landmark created by Karl Broodhagen, Barbados’ most prominent and well-known sculptor. 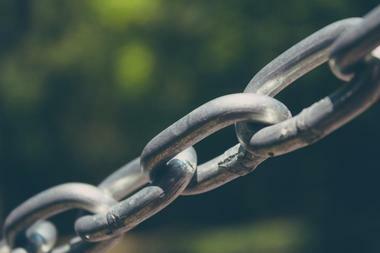 It symbolizes the “breaking of the chains of slavery” at Emancipation, which was technically abolished in 1834, but not completely in effect until four years later after the apprenticeship period was completed. In 1838, full freedom was achieved and celebrated by more than 70,000 African Barbadians flooding the street in exultation. The statue commemorates their freedom, and many Barbadians refer to it as Bussa in honor of the free-born West African slave Bussa, who began the revolt against slavery in 1816. Bussa is also listed as one of Barbados’s National Heroes. Carlisle Bay is a natural harbor and bow-shaped bay on Barbados’s west coast, and it is the main harbor that connects to the capital city of Bridgetown. Luxury yachts and catamarans are anchored here and a plethora of fun activities are just a few feet away. 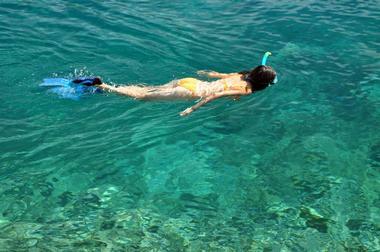 Among them is the marine park, a premier location for snorkeling and scuba diving. Six shipwrecks under the sea attract a multitude of marine animals like rays, tropical fish, turtles, and sea horses. Sunbathing and swimming at the various beaches and watersport activities at The Boatyard on the northern end of the bay are also big draws for visitors. The Concorde Experience is a unique interactive museum centered on an actual British Airways Concorde G-BOAE. Here, visitors can learn about the aircraft’s history, development, and technology with various points of interest and activities. It begins with the Flight Path, a walkway lined with information on the pre-history of flight, followed by The Beginning of Flight Attempts, and How Aviation Has Developed. Visitors will move on to learn about the concept, development, and engineering of supersonic flight before relaxing in the mock-departure lounge, then boarding a real G-BOAE. Once on the aircraft, guests will enjoy a tour of the interior followed by a flight simulation; afterwards, they can try their hand at the controls of this iconic aircraft. 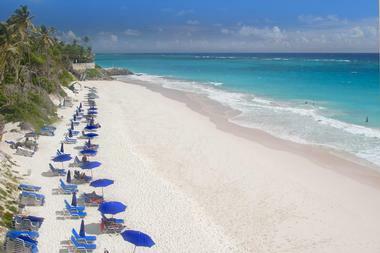 Crane Beach is one of the most beautiful beaches in the world, featuring pink-tinged sands and powerful foamy surf and located on the southeast coast of Barbados. Originally a harbor, this stunning beach boasting crystalline water is surrounded by a cliffside where the legendary Crane Resort & Residences is located. The resort itself has long been a favorite destination among honeymooners and is home to a majestic garden that houses the Grand Jete Statue, created in 1981. At the beach, body-surfing and boogie-boarding are common activities due to the excellent surf, and more advanced swimmers are often spotted doing a little cliff jumping from a known launch spot. 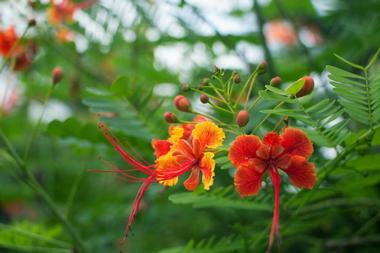 The Flower Forest is located in the countryside of Barbados, a tropical oasis featuring an array of colorful flowers, majestic palms, and thick shrubs. This botanical garden overlooks gentle rolling hills offering visitors exceptional views of the eastern coastline and the scenic countryside. Guests can meander through the various pathways, some are flat and leisurely and others slightly more strenuous due to steps, as they explore the upper garden’s beauty. After taking in the relaxing and tranquil surroundings, guests can end the experience at the informal café, where they can indulge in a light lunch accompanied by a cup of tea or a refreshing adult beverage. The Folkestone Marine Park & Museum boasts an artificial reef formed by the Stavronikita, a sinking ship which lies 120 feet underwater just under a half-mile offshore. Due to the depth, it’s recommended that only experienced divers venture out, and then only with the company of a local divemaster. Snorkelers can explore the Recreational Zone of the park, a reef about one-third mile offshore where marine life can be found such as sea lilies, sponges, and sea anemones. Additional recreational watersports are also offered at the park, including paddle-boarding and canoeing. The museum section is an interpretation center featuring an aquarium and photographic exhibit. 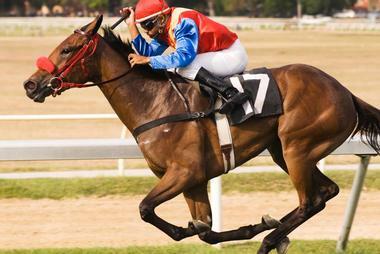 Located just outside of the capital city, Bridgetown, the Garrison Savannah Racetrack is the home of horse racing in Barbados and has been since 1845. Its history began when the British Regiment officers who were stationed in Barbados used the parade ground to race their horses against one another, with planters and wealthy merchants later joining the festivities. Today it continues to be a premier attraction on the island with daily races that can be viewed in the Grandstand or by invitation in the Sponsors Lounge and opulent Corporate Boxes that overlook the iconic padlock bend. The George Washington House was where the 1st President of the United States resided for two months when he visited Barbados in 1751, the only country he visited outside of colonial America. This fact, as well as the insights gained on how life was 250 years ago in Barbados, intrigues visitors and Barbadians alike. The ground floor is furnished and staged in the way it would have appeared back in 1751, and second floor is completely covered with displays of items familiar to that time period. There are also various artifacts throughout the home, including slave items such as spiked manacles and barbed neck collars. Hunte’s Gardens is situated in the lush hills of St. Joseph. It was created by the eccentric horticulturist, Anthony Hunte, and nestles in a sinkhole-style gully within the Barbados rainforest. Due to its interesting location, visitors will get a multifaceted experience with robust plants thickly growing on several levels from wide and sunny areas to dark and mysterious corners of the Caribbean jungle. Picturesque and easily walkable paths offer a multitude of surprises, including the various mini-gardens within the main area that feature exotic plants in vibrant colors. There is also an array of hidden benches among the greenery; frequent visits from bird and animal life happen often too. The Sugar Museum is situated in the yard of the Portvale Sugar Factory, providing visitors an in-depth look at how sugar was created in the 18th and 19th centuries. The museum serves as a tribute to Sir Frank Hutson, who in partnership with the Barbados National Trust collected the various items housed there. The history of sugar development and production is displayed within the museum, offering visitors an insight into this interesting industry. 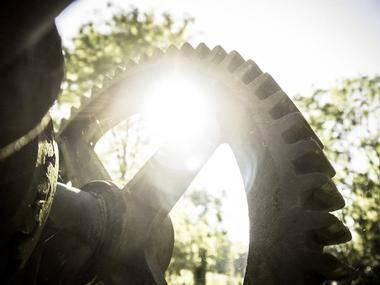 Although the museum remains open all year round, the highlight season is from February through May, also known as the reaping season, when guests can compare modern machinery to the machinery of previous times. The Morgan Lewis Windmill is situated in the northern parish of St. Andrew in the richly lush Scotland District and overlooks the island’s eastern coastline. It is Barbados’s only undamaged sugar mill, one of only two restored sugar mills in the entire Caribbean, and listed fourth on the “Seven Wonders of Barbados” ranked by Barbados.org. 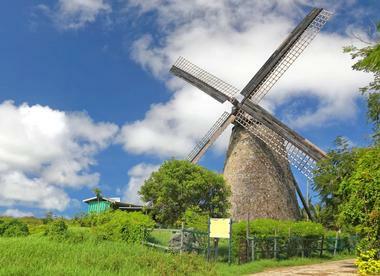 The Morgan Lewis Windmill is preserved by the Barbados National Trust and features an exhibit of the equipment utilized to create sugar during the time the industry used wind power. Visitors should try and visit the mill from December to April, when there are demonstrations of sugar grinding and cane juice is offered for tasting. Orchid World & Tropical Garden sits on 6 acres of countryside, surrounded by sugarcane, at an elevation of just over 800 feet. 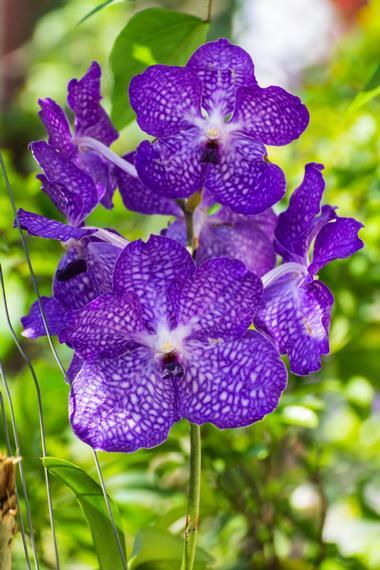 Visitors can meander through the well-landscaped grounds where self-guided tours take them through a coral grotto and past a waterfall leading them to five orchid houses. Each turn and twist along the path offers a different floral surprise, including Phalaenopsis, Vandas, Calanthes, Cattleyas, Dendrobiums, Ascocendas, and even Schomburgkia plants, which bloom just once a year. There are also rainforest orchids on display in a simulation garden that is eye-catching, as they appear to be hanging in mid-air. Half-day guided garden tours are also provided. 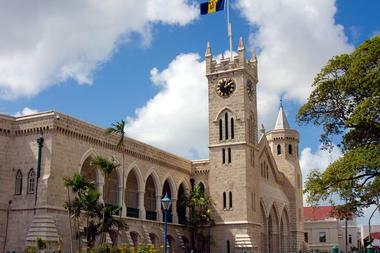 The Parliament Buildings of Barbados are located within the capital city of Bridgetown at the top of Broad Street. Each of these historic Gothic-style buildings were completed in 1874 and created using local limestone. These striking and stately 19th-century Parliament Buildings of Barbados feature a wealth of craftsmanship and attention to detail, such as the stained glass windows representing British sovereigns from James I to Queen Victoria in the East Wing. In the West Wing, visitors will note intricate detailing, such as Bible quotations engraved in the main stairways, the courtyard encircled by green cast iron railings, and the impressive clock and bells. The Project Harp Space Gun was initiated to create a giant gun with the sole purpose of shooting projectiles into space. Designed by ballistics engineer Gerald Bull, it was constructed from a 65-foot long, 16-inch naval cannon, reminiscent of what would be seen on a battleship. Shortly thereafter it was expanded by adding another barrel, extending the gun’s length to reach 130 feet, making it too large for military application, but supposedly ideal for satellite delivery. In 1963 the gun set a world record for sending an object 112 miles into the sky, but was otherwise ineffective. 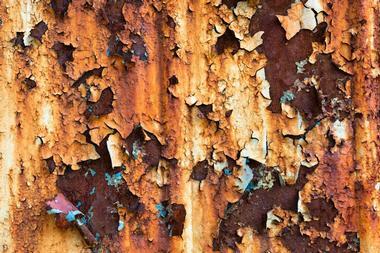 Today, its rusted remains can be viewed with permission on the active military base where it resides. St. Nicholas Abbey is one of only three legitimate Jacobean mansions in the Americas. Its distinguishing features include chimney stacks, curved Dutch gables, a Chinese Chippendale staircase, coral stone finials, and fine antiques. 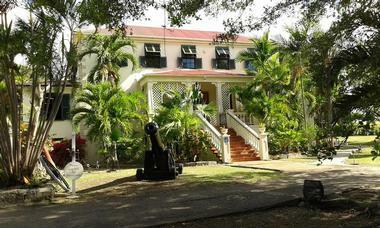 Visitors are welcome to tour this impressive mansion to admire the historical furnishings and incredible architecture as well as the rum distillery and steam mill, both of which are fully functional and produce St. Nicholas Abbey Rum. 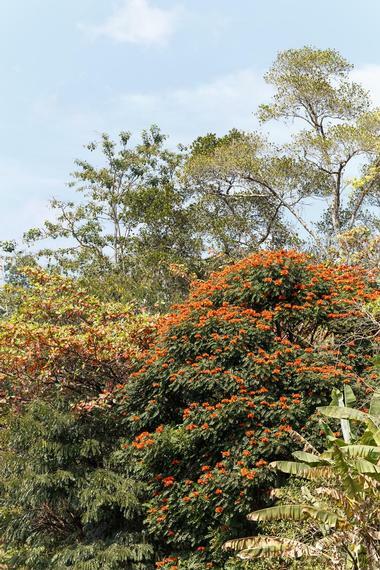 The surrounding grounds are equally as beautiful, boasting tropical flora, including silk cotton and mahogany trees. As an added treat, be sure to stop by and check out the cockatoos, Baby and Lance, who love a good petting and friendly chat. The Sunbury Plantation House was built by Irish/English planter Matthew Chapman, one of the first settlers on the island in the early 1660s. 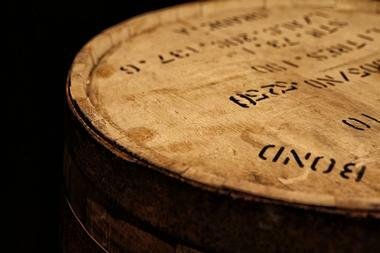 Sunbury is over 300 years old and is steeped in rich history boasting old prints, mahogany antiques, and a one-of-a-kind collection of horse-drawn carriages. It is the only great house where all the rooms are open for visitors to view, and regular tours of the interior and grounds are offered daily. At the end of the tour, guests are welcome to dine in The Courtyard Restaurant and Bar, which offers a delectable array of menu options and refreshing signature spirits. 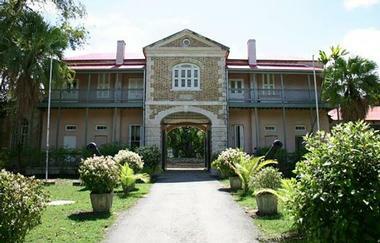 Tyrol Cot is was built in 1854 and was the home of the first Prime Minister of Barbados, Sir Grantley Adams; he was also the only Prime Minister of the Federation of the West Indies. 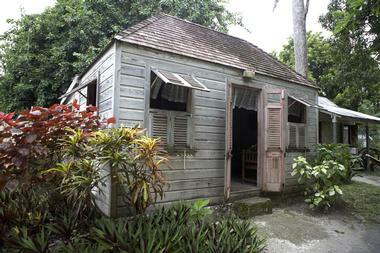 It is also the birthplace of his son and second Prime Minister of Barbados, Tom Adams. 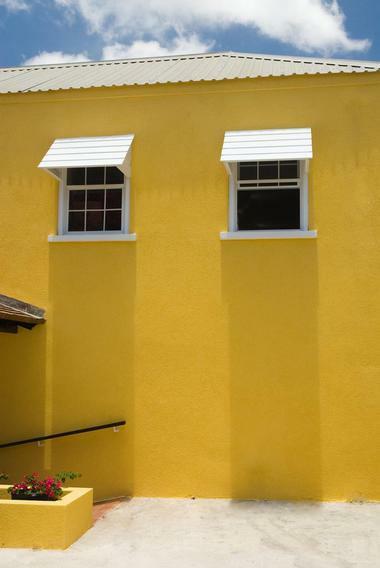 Tyrol Cot is an architectural gem, beautifully restored by the Barbados National Trust. Visitors who tour the home will note its unique mixture of tropical and Palladian styles as well as its collection of Adams memorabilia and antique furniture. 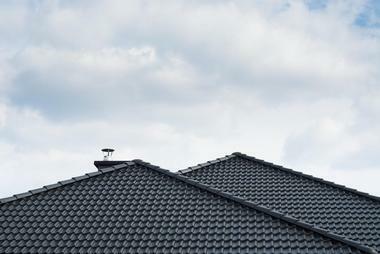 The house is also bordered by Heritage Village, a living museum made up of several stunning Chattel Houses.